Router Technologies is proud to introduce the Xtreme Xtension. 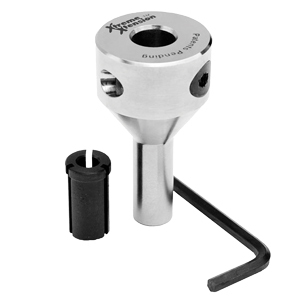 This new extension works in any 1/2" router collet, allowing installation or removal of router bits from above your router table without the cumbersome wrenches and locking of the spindle usually required. 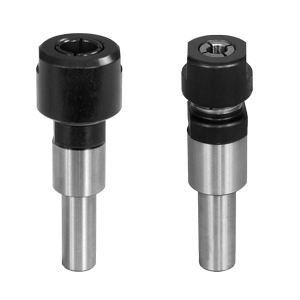 The additional 11/4" length and 1" deep bore provide complete support of all 1/2" and 1/4" shank bits used with any thickness table or insert plate. Give your router bits an additional lift when you extend them through the router table top with our router collet extension. Eliminate the dangerous temptation of withdrawing the shank from the collet in order to raise the bit and to “provide the full depth of cut.” The router collet extension makes it possible to use all diameters of 1/2" and 1/4" shank bits safely. Place the router collet extension shank in the 1/2" router collet and the router bit shank in the extension collet and tighten both. Instructions included. Use with 1/2" collet routers only. 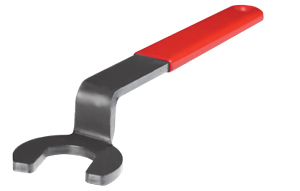 • 1/2" shank to 1/2" collet extension that extends 2-1/4"
• Includes 2 wrenches for tightening. 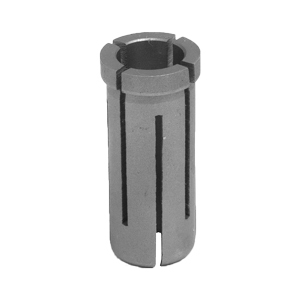 • 1/2" shank to 1/4" collet extension that extends 2"
Simple and easy to install.This router collet reducer is a universal split-type steel bushing that allows you to reduce your 1/2” collet down to a 1/4” collet. The collets are 1-1/4” in overall length. Fits most 1/2" collets. 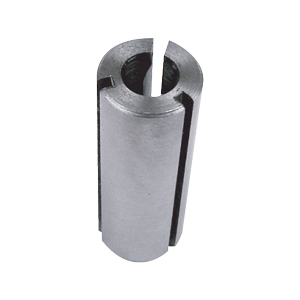 Reduces Router Collet from 1/2" to 3/8" with an overall length of 1-1/4"